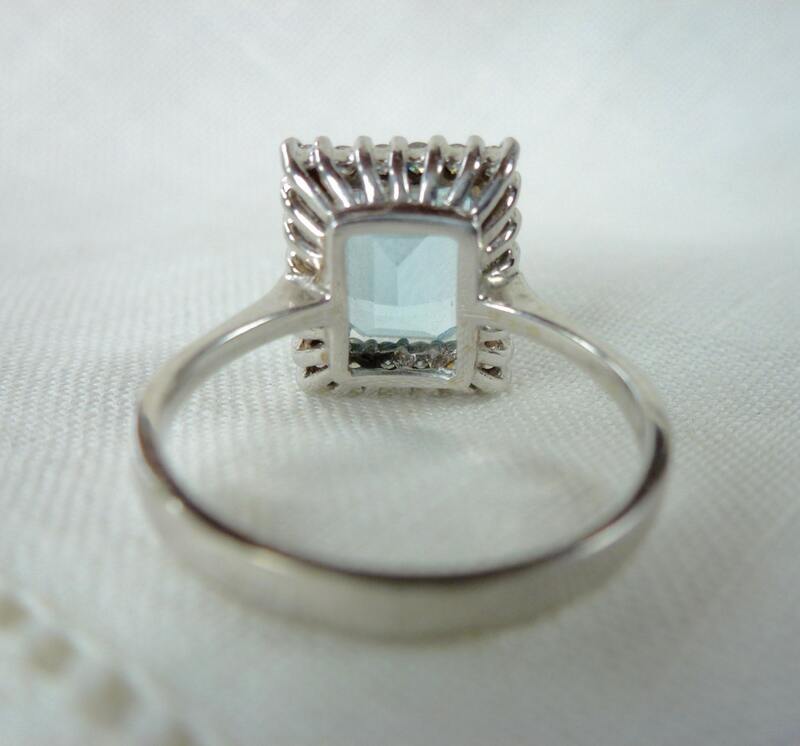 Bethany is a striking, emerald cut aquamarine and diamond halo engagement ring in 14kt white gold. 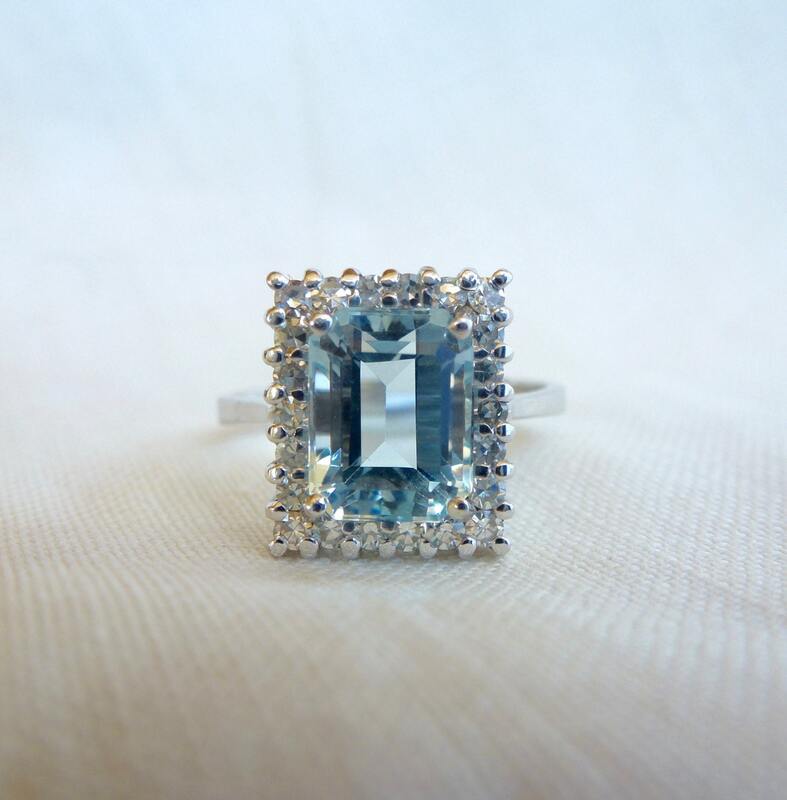 Her aquamarine is just gorgeous, perfectly clear and such a lovely color of blue! 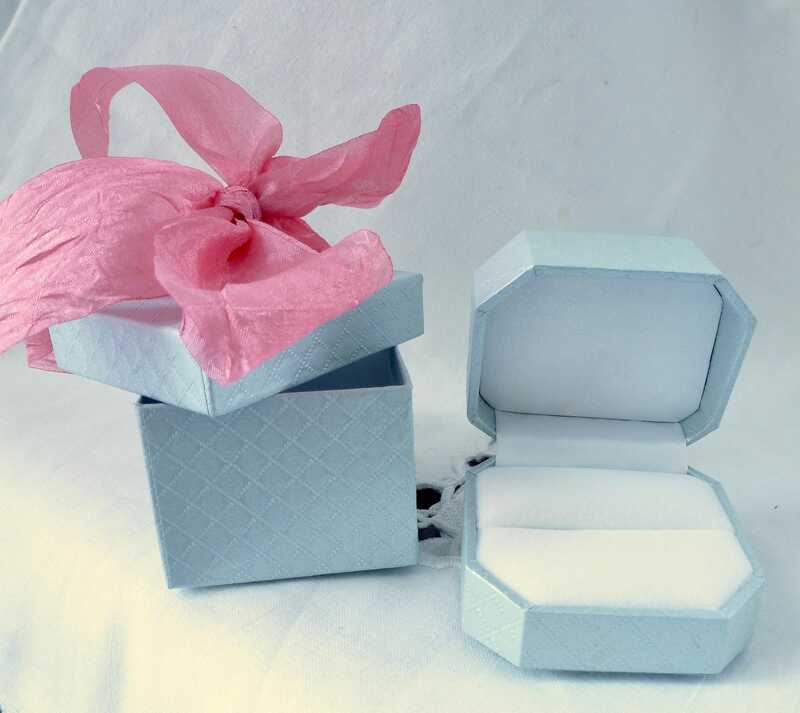 The wonderful, rectangular shape with the diamonds all around is eye catching and stunning, a unique take on an engagement ring. 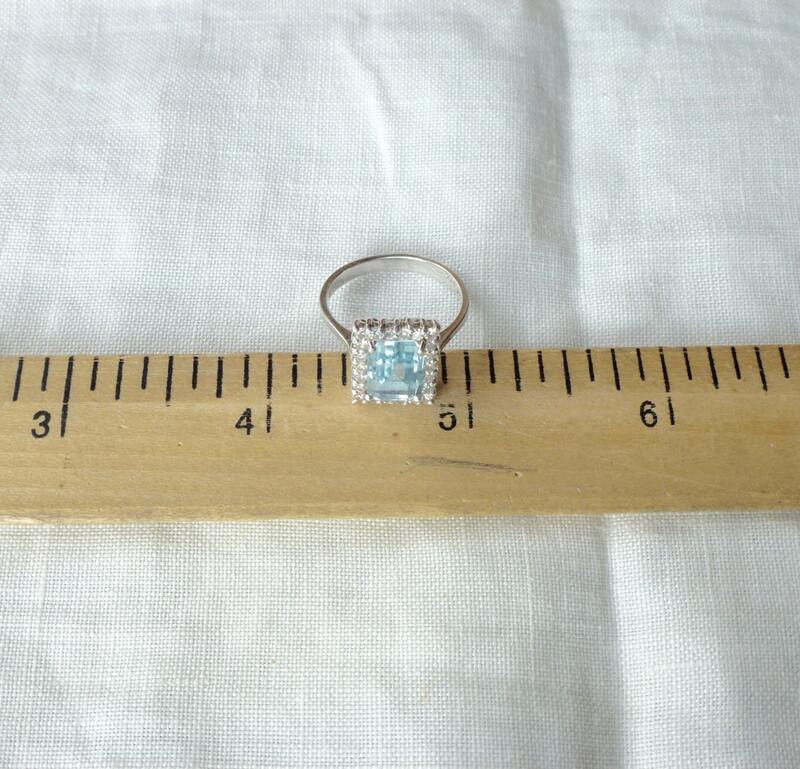 Of course, Bethany would also make a fabulous right hand ring - you will not be able to stop looking at her! She is in excellent vintage condition and can be sized within reason. 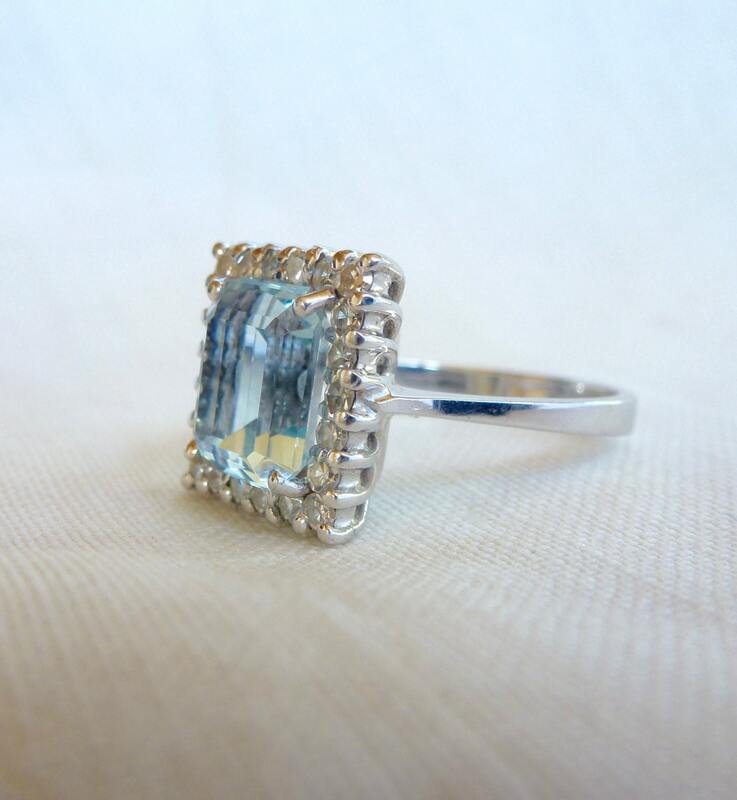 If you love aquamarines, then this the perfect ring for you! PLEASE NOTE: If you are located outside the US, please read my shipping policies prior to ordering!!! I love working with Catherine and I hope to work with her again oneday. 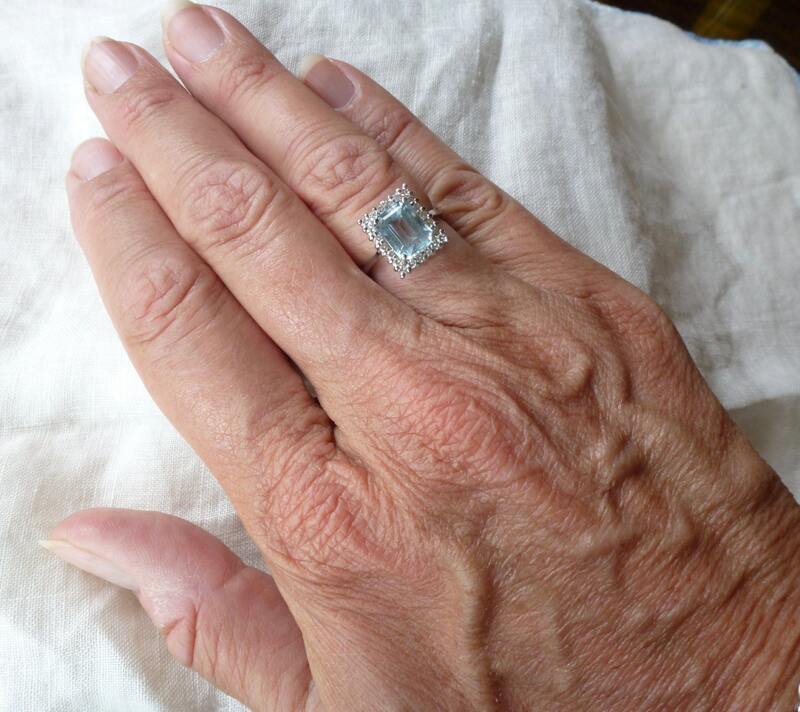 She was quick to respond, shipped promptly, and sold me the more gorgeous ring I have ever seen: a natural aquamarine with diamond halo. 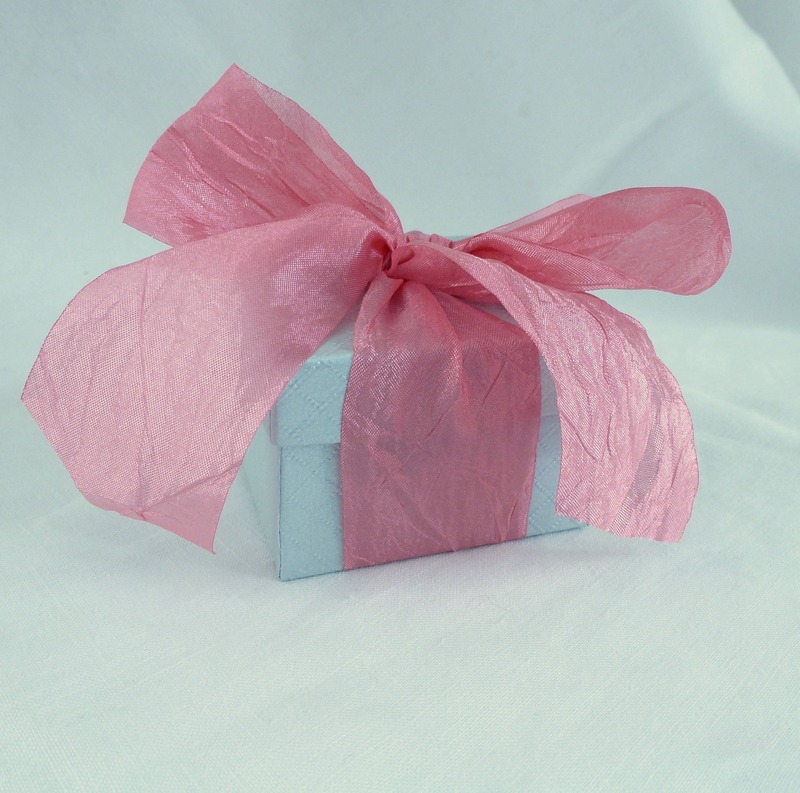 Though it is antique, the level of quality is such that it appears to be brand new. The sparkles are endless. The clarity bottomless. Thank you, Catherine. I am so grateful I found you. All the best.